PamLloyd PR was born out of Pam’s freelance career. The business in its current form started with a notion of a workplace delivering best-of-class PR without the stress, screaming and 20-hour days typical elsewhere in the PR industry. A place where mums can work flexible hours — and where clients reap consistently strong, measurable results, delivered by a committed and creative team.  Pam is a past Chair of CIPR South West; a well-known industry speaker; a food writer; and an authority on fresh food marketing and PR.